One of the biggest differences between the professional and the amateur traders is the general approach to their daily trading. 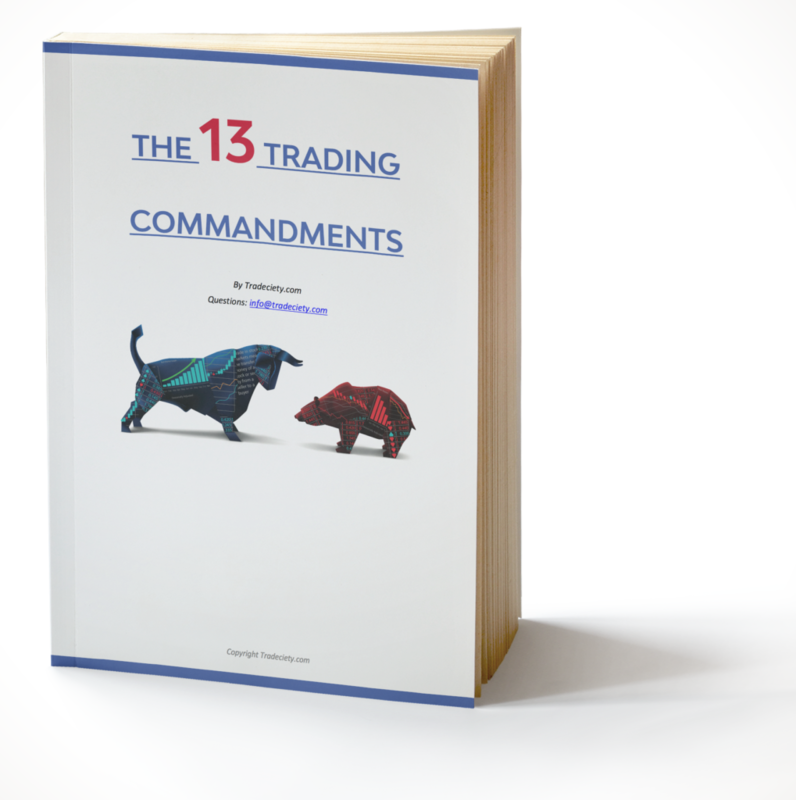 While the professionals follow a well laid out routine that allows them to find the best trades every week, the amateurs just stumble from one bad trade to the next bad trade and making is pure luck. An effective trading routine will help any trader improve his results while allowing him to reduce his trading time significantly. 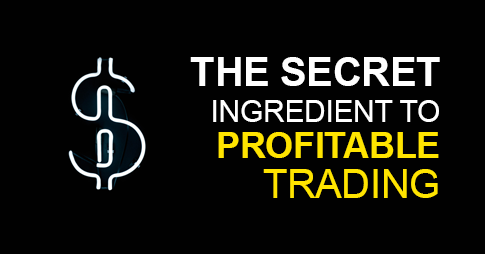 I, for example, rarely spend more than 1 hour per weekday on my trading and I will show you how you can become more effective and efficient in your daily trading as well. Being an efficient trader means automating as many tasks as possible and eliminating redundant processes and unnecessary tasks. I show you how to set up your workstation and computer so that you are best prepared for your daily trading. We have said it often and we will repeat it many more times: we highly recommend separating trading and charting. 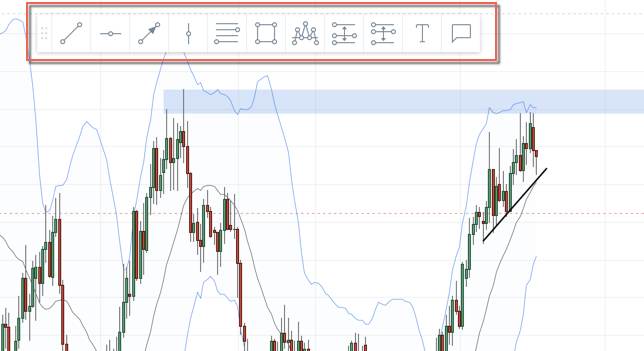 For charting, we use tradingview.com and only when we want to execute a trade we go to our broker’s trading platform and then close it again right after. 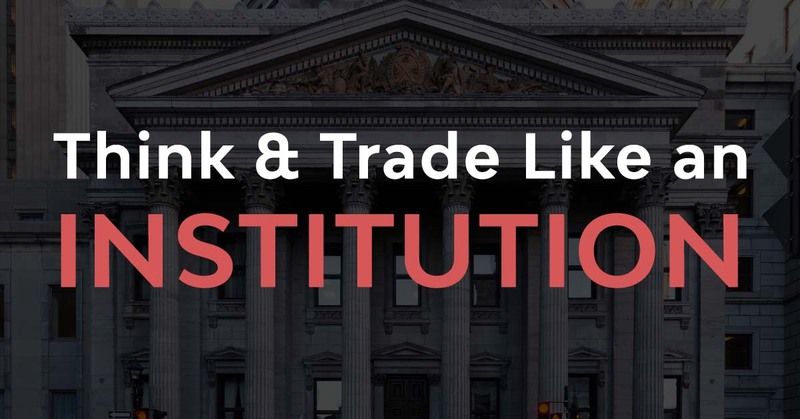 The reason is simple: traders who chart and trade from the same platform are always just one mouse click away from entering a new trade and they also always see their orders in front of them once in a trade which can easily cause impulsive decision. It creates a sense of urgency and makes messing up trades much, much more likely. By separating trading from charting, you add a layer of friction and it’s not as easy to follow your impulsive trading ideas. In Tradingview, I use different templates and profiles with pre-defined chart setups for different types of analyses. You can follow our Tradingview profile here: Tradeciety on Tradingview. To save a template and/or create a new one, you have to click on the template name in the top right corner as shown in the screenshot below. By clicking on “Load”, a list with all your templates pops up and you can create and save your set up. Indices: here I use a 4-split screen with the major indexes I pay attention to (the S&P 500, the DAX, the Hang Seng and the Nikkei 225). Commodities: Again, I use a 4-split setup and track Gold, Crude Oil, Silver and the DJ Commodity Index. Although I don’t trade Commodities, it is important for me to see how certain commodities behave. Those two profiles are only used for the broader market analysis. I then have a regular template as well with all my other Forex pairs and different timeframes. I recommend that you test a bit around and see what works for you. To make charting more efficient, you can create individual templates for your drawing tools. 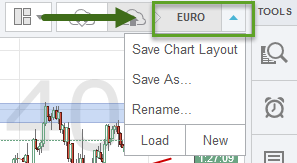 For example, if you use different color coding techniques for your support and resistance levels or other tools, just create a new template and the next time you draw on your charts, just select it from the dropdown. After you drew your first trendline, you can see the dialogue box on your screen. Under “Template” you can create new templates or apply a specific template to a drawing tool. It really helps make your live much easier and charting more efficient. This works with all other charting tools as well – not only trendlines. 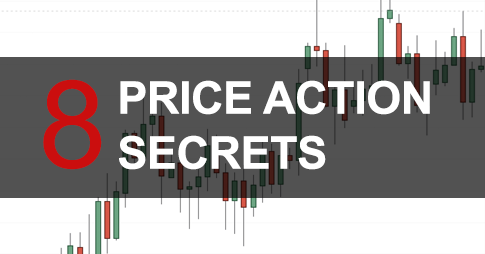 Not every trader uses multiple screens and to make sure that you don’t miss any important price behavior, you can and should use the alerts function in Tradingview. You can see the general alert settings on the left. Again, you can fully customize the alerts to your needs. You are not limited to price alerts only, but you can also create alerts based on moving averages, price channels, trendlines or %-price movements within specific time intervals. 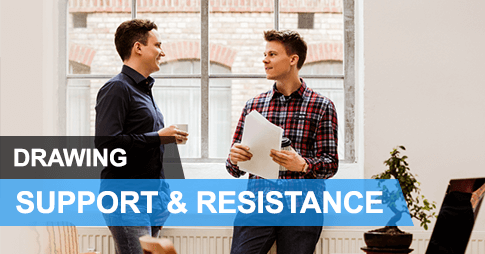 If you use support and resistance levels, you can simply click on the level on your chart and by clicking the alarm clock in the dialogue box you can create an alert for that level. I highly encourage you to use alerts as often as you can to make sure you don’t miss price moves. After you are done setting up your charting and organizing yourself, let’s now take a look at the daily trading routine. Especially if you are not a full-time trader yet, it is important to use your free time effectively. Preparing your next trading day in advance is one of the best things you can do for yourself. The weekend is for me the most important time as a trader and I can plan my whole trading week ahead without having the stress of the moving markets. I need roughly 3-4 hours to go through all my 30 Forex pairs, update my charts, re-draw my levels, set price alerts and scan for important patterns. I will go through the Daily, the 4H and the 1H timeframe for each pair. The final watchlist is then uploaded as well to our private forum for our pro members. 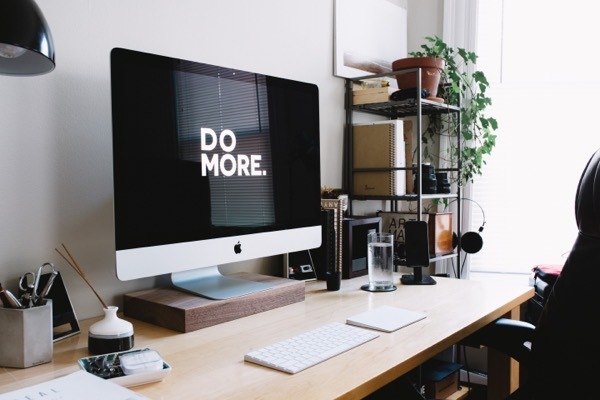 Is it worth it to you to spend a little less time on the couch watching TV, sleeping a little less and putting in a few hours into your trading to move closer to your goals? 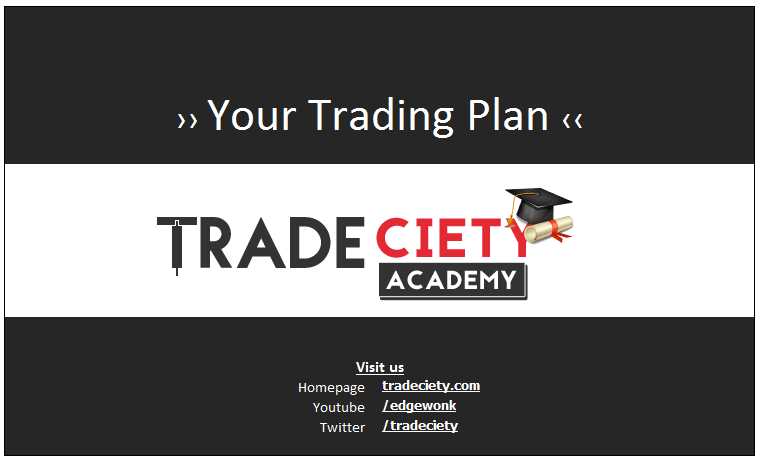 You should never enter a trade without a trading plan: plan your trade and trade your plan! Although I am a technical trader, I must know what is going on in the world. Fundamentals set the tone and they provide a lot of information that is necessary to know about. I don’t spend a lot of time on my fundamental briefing and I just want to get a general idea where the market is and what traders and investors are looking at right now. Here I mostly pay attention to the high and medium impact news items (red and orange) and do not follow the yellow ones usually. Since I am a swing trader on the higher timeframes, the yellow items do not impact price too much most of the time and, thus, I tend to ignore them. To make the process more effective, I bookmarked all sites and display the menu in my browser so that I can just skip through the individual sites. To give you an idea, 30 – 45 minutes is really all you need to get a good enough picture of what is going on. 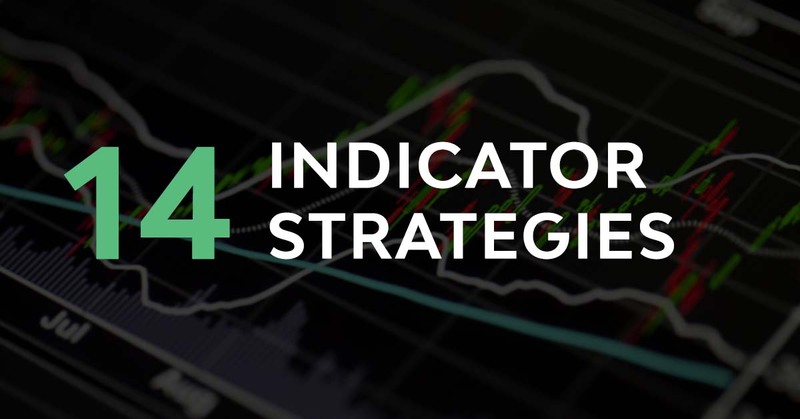 Although the news check often gives you a pretty good idea of what has been going in, I now briefly scan some of the indices and other markets that provide important information for my trading day with the profiles I set up on Tradingview. Often, risk appetite is carried from one trading session to the next. And, furthermore, there is usually one dominant market theme most investors are paying attention to at any given moment. A negative performance during the Asian session often leads to uncertainty during the Europe and the US session as well. Thus, pull up your Tradingview profile for market indices and scan the markets. As we have said above we watch the S&P 500, the DAX, the Hang Seng and the Nikkei 225. Gold – Gold is a good risk-barometer and quickly shows investors’ sentiment. Gold is also highly correlated to the AUD. Now that we have a good understanding of what is going on in the world, we can start digging into our own charts and look for trades. I pull up the trading plans I did on the weekend and cross-check if anything happened that would cancel my trade idea. If I see that a trading plan is unfolding just as laid out, I will go to my checklist, validate that I have all my signals that I need for my system and then enter the trade. And if I see any new developments on any other market, create a new trading plan and set new price alerts. 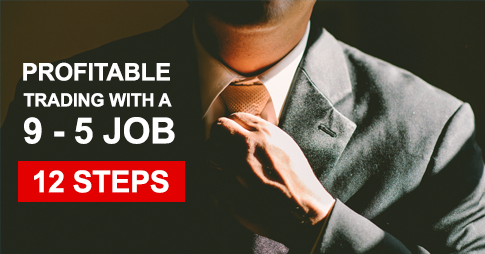 This step usually takes 20 – 30 minutes because I have already done all the work during the weekend and just need to check the trading plans and my price alerts. Every trading session should start with a brief review of your previous trading day. Am I in a losing streak and is it influencing my behavior and thinking? Am I in a winning streak and should be cautious of over-confidence? Have I been over-trading lately? Am I breaking my rules or am I disciplined enough? Do I need to adjust my risk? Again, this step shouldn’t take longer than 5-10 minutes and you just want to see where you are with your trading right now and be aware of any potential dangers or bad behavioral patterns. The good news is, there is almost nothing to do here since we have already created our trading plans, checked the charts in the morning and made sure that we are aware of the most important things. Many traders still buy into this belief that you just need to be long enough in front of your charts and you will become a better trader. This is total BS and the exact opposite is true: the longer you look at charts, the worse you become and the more bad trading decisions you will make. With the help of my price alarms I do not need to check my charts at all for the most part. Every 4 hours, once a new candle is closing, I take a brief look to see whether one of my setups is giving a signal or not. That’s really it and that’s why such an approach is ideal for traders with a regular day job! When I have taken trades during the day, I enter them in my trading journal so that I can use that information during the next day for my preparation. 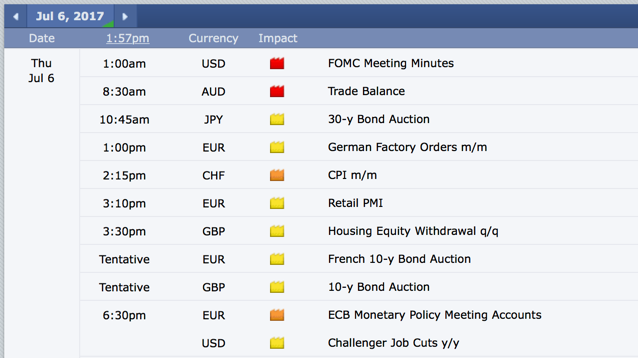 Are there important news scheduled during the night and how do I need to adjust my trades? Do I need to move my Stop loss, exit partially or add to an existing trade? 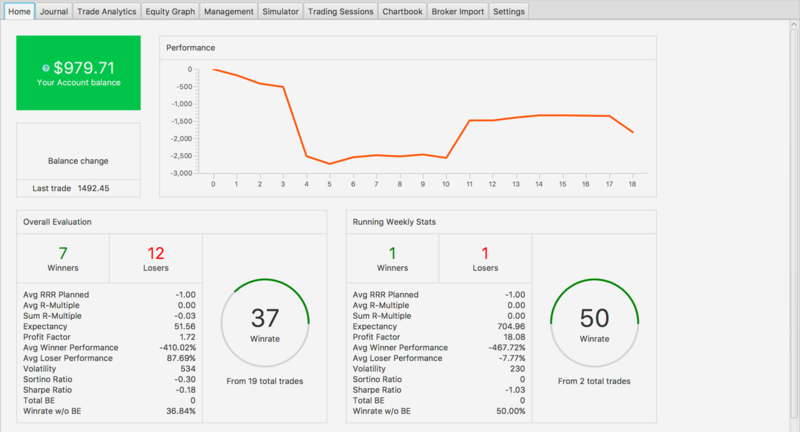 Then I go through each of my open trades and manage them based on my trading strategy. Here I spend another 30 minutes per night updating my trading plans. I checked what has happened during the day, re-draw my levels, set new price alerts and look for interesting new patterns. You probably say that this sounds like a lot of work. But just think where your current trading approach has led you and are you approaching trading with the seriousness it requires? Most traders just don’t deserve to make money because they are not putting in the time and just hope to get lucky. The problem we see with amateur traders every day is that they lack guidance and consistency in their approach. Instead of straying around, do yourself a favor and start following a serious routine. You’ll see the benefits within a few weeks. If you don’t want to do all this, take a look at our pro room where I do most of the work for you and I will help you along the way. Amazing thoughts and detail. I really enjoyed reading this post. Lots of great tips. Thanks. Wealth of information and that was for free!